ataylor1230 has no other items for sale. 6'0" Lost Mayhem V2 Surfboard - Nice Used Condition. Includes Fins & Wax! 6'6" G&S Gordon & Smith Wave Crave Surfboard FCS thruster set up! 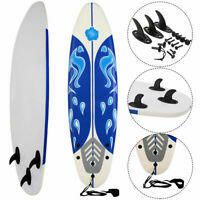 Fisher 6'2" MK-IV Quadfish model single wing swallow hybrid fish surfboard!